Get the best price by booking your room directly here. We guarantee you won’t get it anywhere cheaper. 48h before your stay, your buddy sends you a welcome e-mail with a link. For an easy and quick check-in open up the link and complete the contact form. Your credit card will be charged automatically on your arrival day. 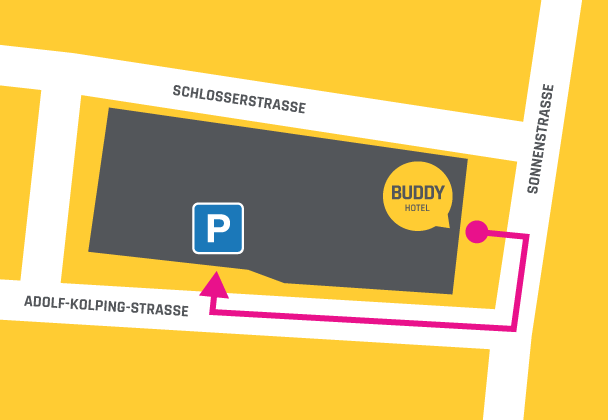 Park your car in Buddy’s Garage on Adolf-Kolping-Straße for only € 15,00 per night.